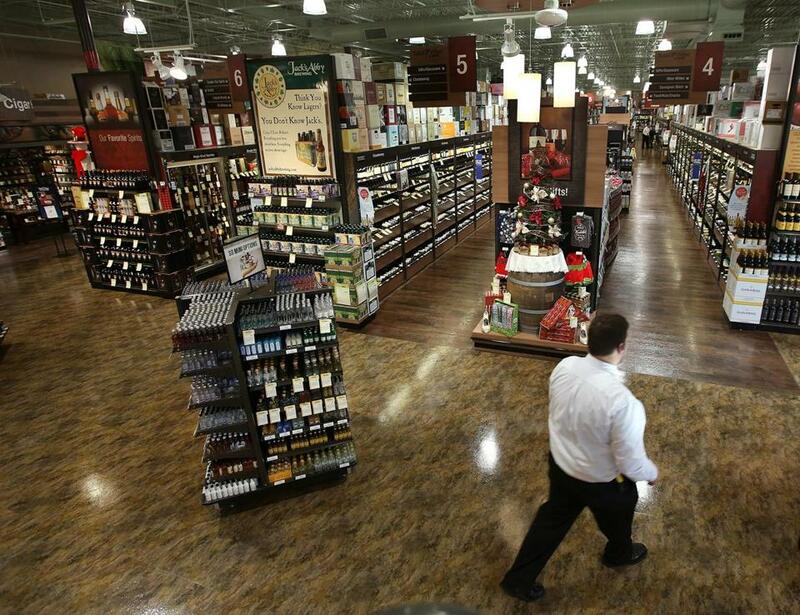 Total Wine & More is opening a store in Natick (above) this week and in Everett and Shrewsbury next fall. It’s also hoping to do business in Boston. Total Wine & More feels like a liquor store sent from the future. On any given day, a vintner might guide customers through a virtual tasting of a new variety, via live streaming video from his California winery, projected on a massive high-definition screen in the new Natick store. Need a wine to pair with your next meal? Put the ingredients and cooking method into an application on a touchscreen tablet and you’ll get a list of suggestions at different price points. And if you have trouble remembering the description or the rating of a particular wine, scan the barcode and the information will be sent to your phone. The Maryland company, which has 130 locations in 18 states, is bringing the traditional package store into the 21st century with its first Massachusetts outlet, which opens Thursday in Natick. The store is spread over 24,000 square feet packed with more than 8,000 wines, 2,500 beers, and 3,000 spirits. It feels nothing like your neighborhood liquor store. The store, across from the Natick Mall, offers wines at every price point: from 3 buck Chuck (Pacific Peak Chardonnay from California) to a $5,000 bottle of Chateau Petrus pomerol from 2005. The beer section divides products into categories like “Amber and Red Ales,” or “Indian Pale Ales” and “Stouts and Porters,” which Trone said is meant to help customers find new beers within the types that they enjoy. The company sources locally to offer a wide selection of brews from Allagash Interlude, made in Portland, Maine, to Night Shift Awake out of Everett, as well as beers from other parts of the country and all over world. The value of the store’s inventory fluctuates between $3 and $4 million, Trone said. The Natick store will be followed by two more, in Everett and Shrewsbury, that are scheduled to open next fall. Trone said the company also hopes to open a store in Boston, but is waiting for the right location and the opportunity to buy a liquor license.